This holiday season we’re making travel planning less stressful by updating you when flights are likely to increase in price, helping you find good hotel deals, and making travel planning easier on mobile. 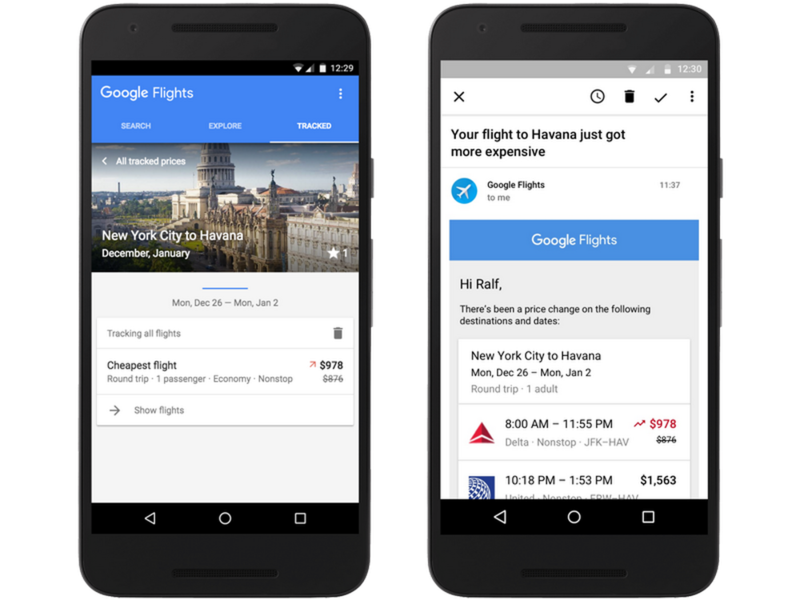 Google Flights can now help you be more confident that you’re booking your flight at the right time to get the best price. We now show you when prices are expected to increase for some specific flights and routes you’re interested in. 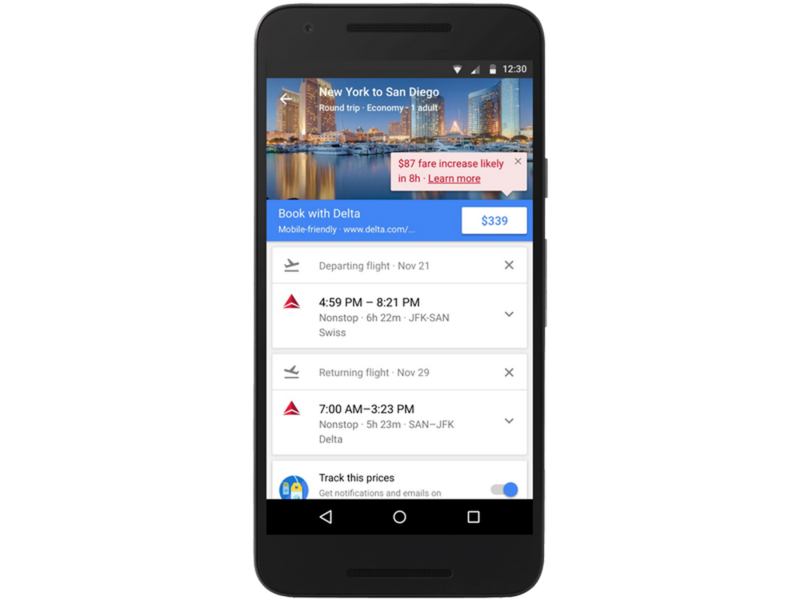 If you’re not ready to book yet, you can choose to track your flight or route and receive notifications via email letting you know when prices are expected to change. 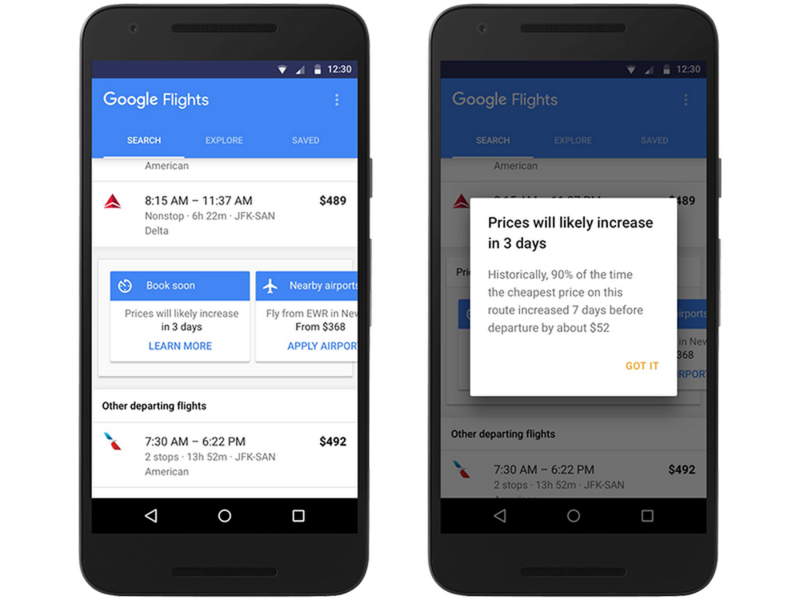 Fare expiration and expected price jump notifications will be rolling out over the coming weeks everywhere Google Flights is available. You’ll also continue to receive updates when prices actually do increase or decrease significantly for tracked flights. Tracked flights on mobile and email notification of price change. We’re also making it easier to find flights on the go. 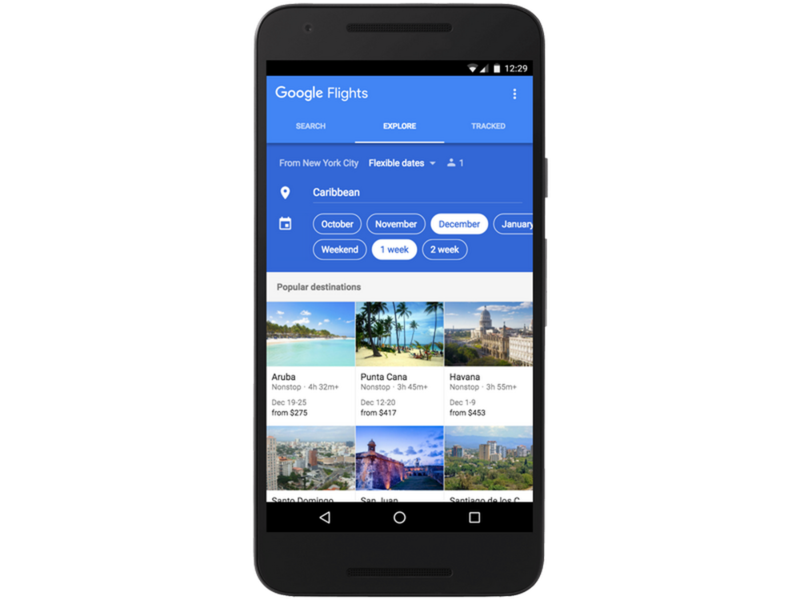 Next time you visit Google Flights, you’ll be able to track and manage saved flights seamlessly on your phone. If you’re still looking for inspiration on where to travel, tap on Explore to find ideas on destinations to visit based on the type of vacation you’re looking for. For example, you can look for destinations in the Caribbean with direct flights only. 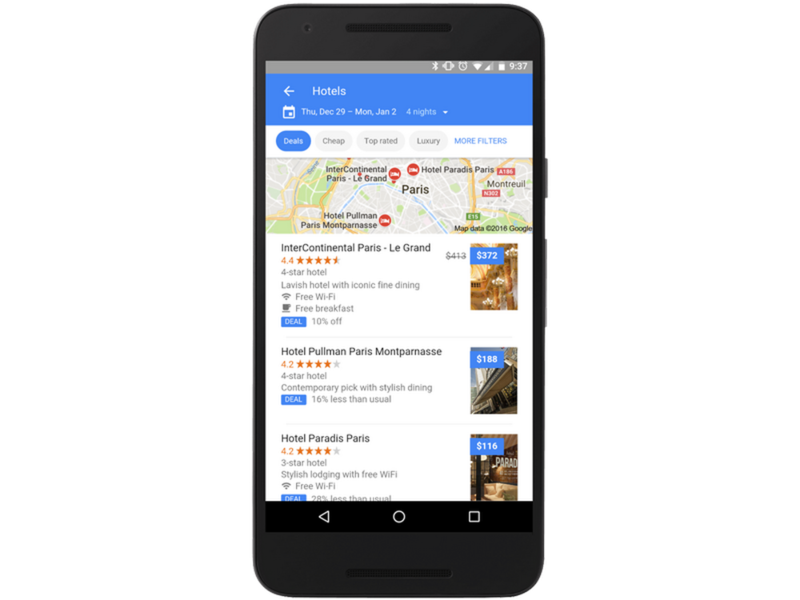 We’re also making it easier to immediately recognize and find more deals when searching on Google for hotels in the location of your choice, like “hotels in new york”. We already label deals when a hotel’s price is lower than usual compared to historical pricing, or if there are discounts to the normal rate for those dates. Now if you want to only look at hotel deals — say, to ring in the new year in Paris — just tap in the upper left to filter for Deals and voilà! We’ll also notify you when savings are available to loyalty members on a hotel’s website. Don’t let travel planning stress you out this holiday season. Google Flights and hotel search on Google can help save you time and money so you can spend more time with the people you love. Wishing you safe and happy holiday travels! * Google/Phocuswright, leisure traveler study, base: U.S. leisure travelers, n=930, Oct. 2015.